Want to know the ins and out of how to grow garlic? You've come to the right place. It might be a bit on the smelly side, but who cares when it tastes so good! Garlic is a part of the onion family and is pretty easy to grow, so if it is one of your must have ingredients, why not give growing it a go? All that's needed is a container, a bit of sunshine (which is questionable in the UK!) and a bit of patience. You'll have a plentiful hoard of garlic in no time. Garlic likes to grow in full sun, so give it a nice sunny spot in your garden. It likes light, well drained soil so adding organic compost to your soil is a good idea. This will help to prevent the soil getting too wet along with adding nutrients to the soil. Make sure the soil is weed-free and you are ready to get started. 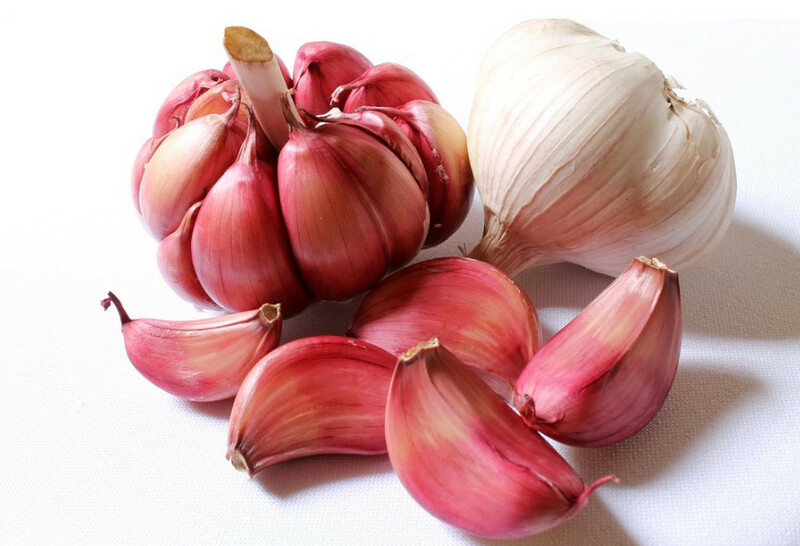 Garlic is grown from bulbs rather than from seed. It should be planted in the Autumn around November. The garlic can either be planted in a container or a patch of soil, preferably an area that gets a good dose of sunlight. The container (or pot) will ideally be at least 20cm in diameter and a similar size for the depth. This promotes good root growth so the garlic can stretch its legs. Start by breaking the bulb of garlic open to separate the individual cloves. Plant each clove about an inch below the soil by gently pushing it into the soil. The flat end should be facing down, with the pointy end towards the top of the soil. Each clove should be planted around 10cm apart, with 30cm between each row. Cover the cloves with some netting to prevent birds getting to them. The garlic can either be planted in a container or a patch of soil, preferably an area that gets a good dose of sunlight. The container (or pot) will ideally be at least 20cm in diameter and a similar size for the depth. This promotes good root growth so the garlic can stretch its legs. Garlic will pretty much take care of itself once it gets going. The only thing it will appreciate is if you regularly weed around it as it can sometimes get smothered by weeds. Water it if there are long periods are dry weather, but apart from that it should be fine. Keep a check on your garlic just in case any birds or other animals pull them up, and if you notice any just push them back down into the soil. When planting your garlic in the Autumn, it will be ready for harvest by June/July. The leaves will start to yellow, and this is a sign that it is ready to be lifted. Lift the bulbs out of the soil carefully using a fork. Before storing, let the bulbs dry out in a warm, dry place. Once you have allowed your garlic to dry out, it can be stored for around three months. All that’s left now is to start cooking with your very own supply of home-grown garlic, as simple as that! I’ll have a cheesy garlic bread please!